Online shopping is fast becoming the most preferred shopping trend among modern youth. They prefer not to get out of their comfortable home or busy office to buy anything. Instead, they want to get everything delivered at their doorstep. This includes buying prescription lenses or eyewear also. The list of these to-dos for admin doesn’t end here only. He/she has to do many more things. The purpose is to help customers get exactly what they need or are looking for. SoftProdigy, recognized by Clutch as the best e-commerce solution providers in India, has designed Advanced/Premium Prescription Lens Configuration Magento 2 Extension to help you set up an online store to sell/add lenses and do a lot more without hassles. 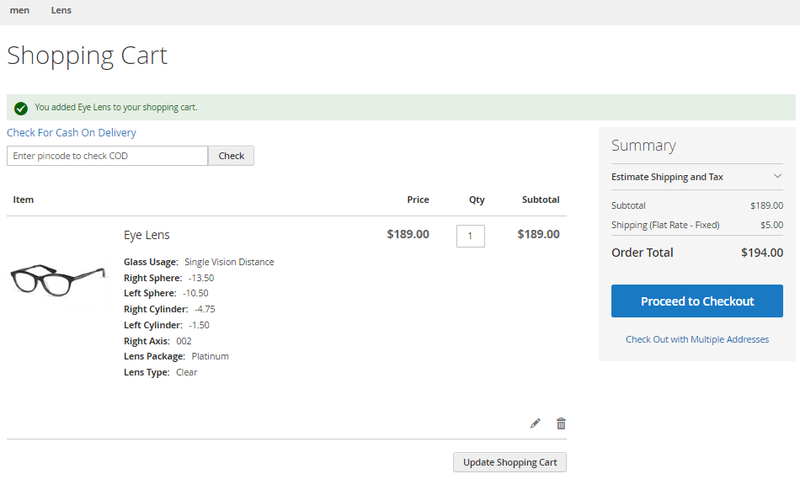 Well, what makes this Magento 2 extension a solution you need for your online store is its ability to let your customers’ details of the prescription lenses they are looking for. 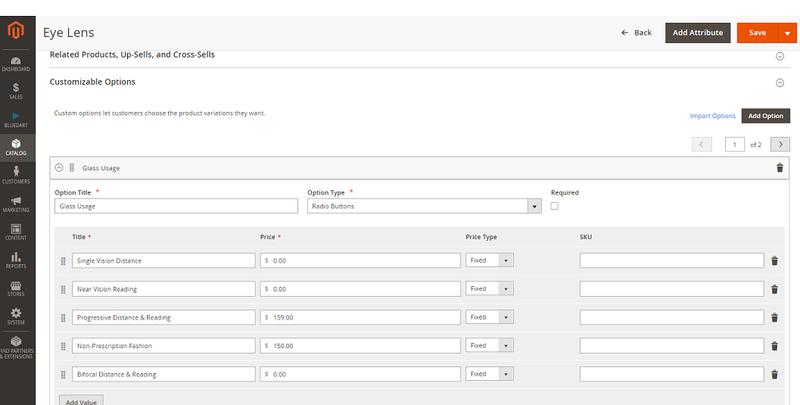 It makes it possible for them in just a few steps to help them get to the product view page. At this stage, it makes life easier for the store owner as it helps put validations to makes all required fields are filled by the customers. It helps customers provide details about the lenses they need. These details include information about the usage of lenses, lenses prescription, lens type, lens option at frontend and much more. Your customers can provide you with their own idea about the lens also through “Use My Prescription” option. They can also choose the reader/magnification according to their need using “Reader/Magnification Option”. 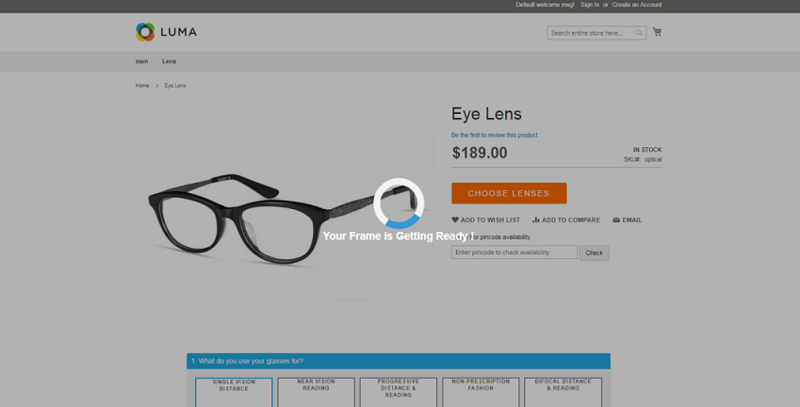 In simple words, customers can customize the lenses to be able to buy the lens they need. 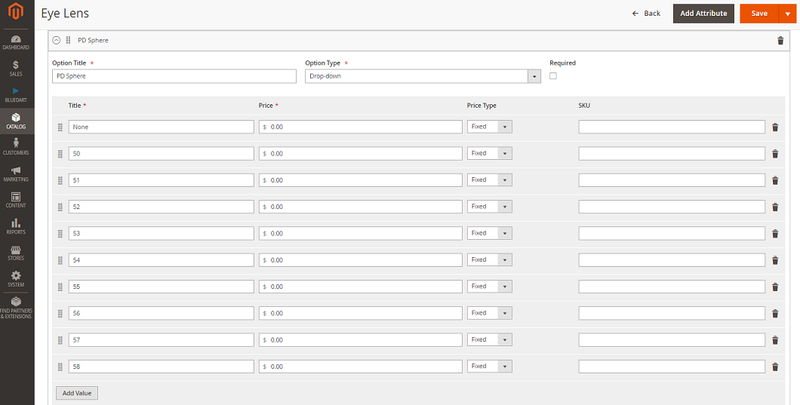 Here, customers can enter their prescription details and save it for future use also. This option allows customers to enter details related to the Sphere, Cylinder, Axis, Add (Near addition) for the right as well as the left lenses. They can add details related to the PD, Near PD ad Add Prison also. 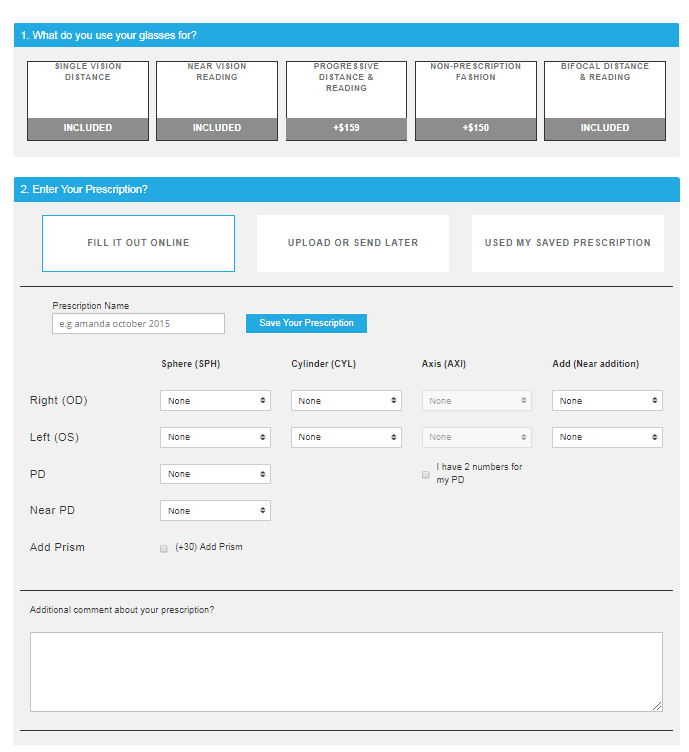 This option allows your customer to upload details of prescription lenses and send it to the store owner later. They can upload details of Prism Horizontal, Base Direction, Prism Vertical and Base Direction related to the right as well as the left lens. They can upload the file of prescription details related to lenses and e-mail or fax it later. This is actually for repeat customers who have saved their lens’s prescriptions on your store in the past and they have come back to your store for purchasing exactly the same lens again. They just have to login to be able to access their saved lens prescription. Your customers can choose a lens package that they think is suitable for them. 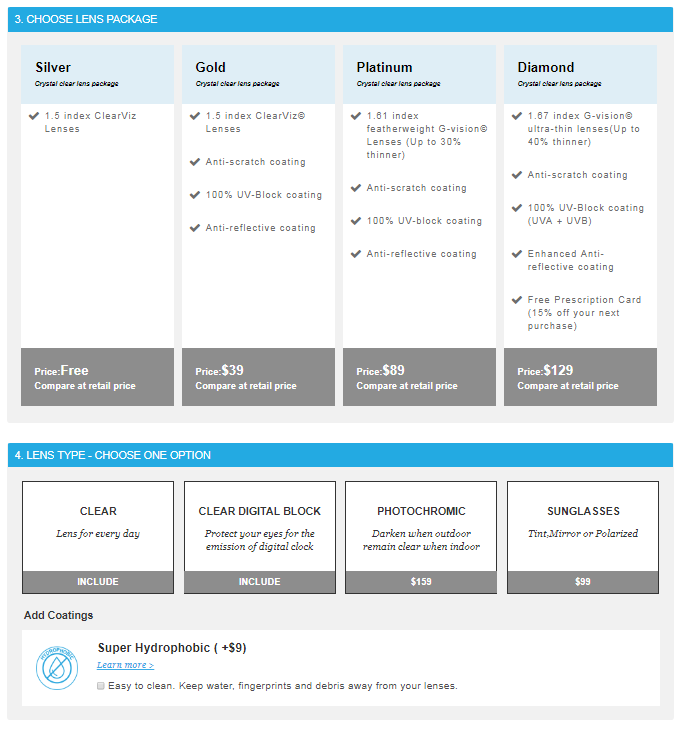 The can choose from the four different lens packages called Silver, Gold, Platinum, and Diamond. All of these packages charge some amount by default. The fee of these packages decreases or increases according to the type of prescription lenses your customers choose to buy from your lens store. It also helps them add details related to the transitions and color of lens they want to purchase. If needed, the addition of SHC (Super Hydrophobic Coating) and DBC (Digital Block Coating) is also possible for your customers. This feature is very much like some kind of insurance plan. Your customers can easily get access to the enhanced coverage plans you can offer them to get cover for the damages to the lenses they buy from your Estore. 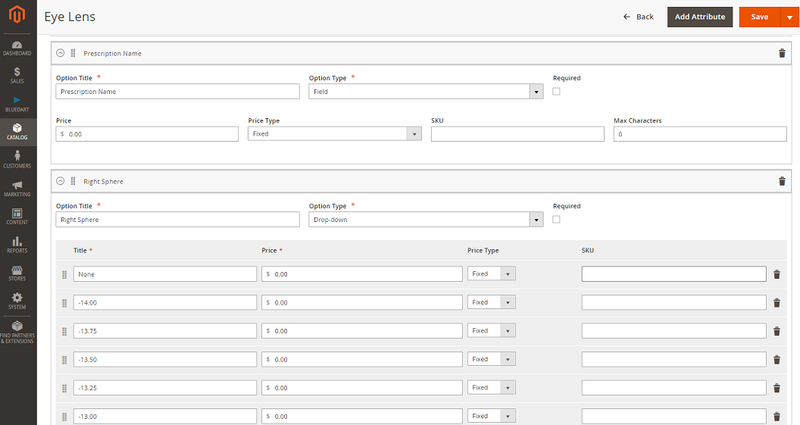 Advanced/Premium Prescription Lens Configuration Magento 2 Extension comes equipped with this special feature for Admins. 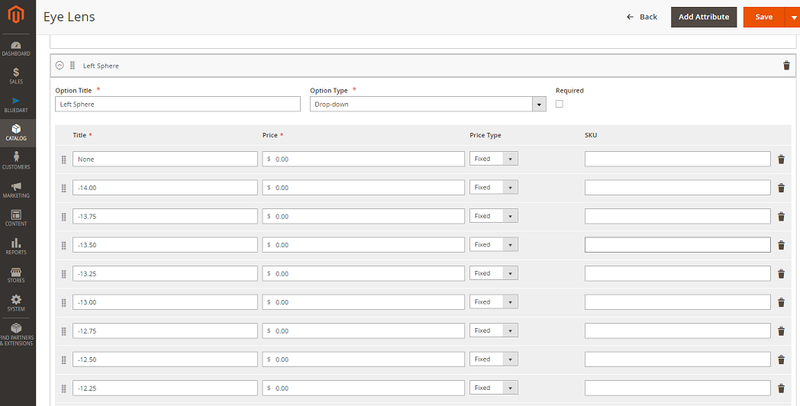 You can manage the orders and store easily using the backend login details provided above. This is to help you satisfy your customers and cater to their Lens needs without hassles. In this way, this feature offers everything you need to grow your business.